Prices below are for screen printing t shirts only, they do not include the price of the garment. Because of the vast amount of t-shirt brands and styles available please call or use our quote form (below) for an exact quote. 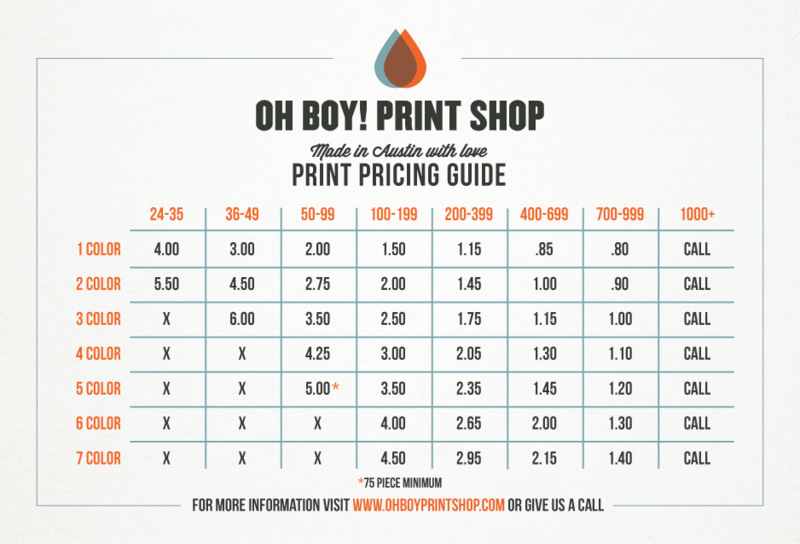 Our pricing structure is easy. It’s the cost of the garment, depending on which you choose, plus screen printing. This will give you your total price per shirt. For example, let’s say you need 50 standard t-shirts with a one color print. Our standard t-shirt (Gildan 50/50) is $4.25 + $2 print price = $6.25 per shirt.